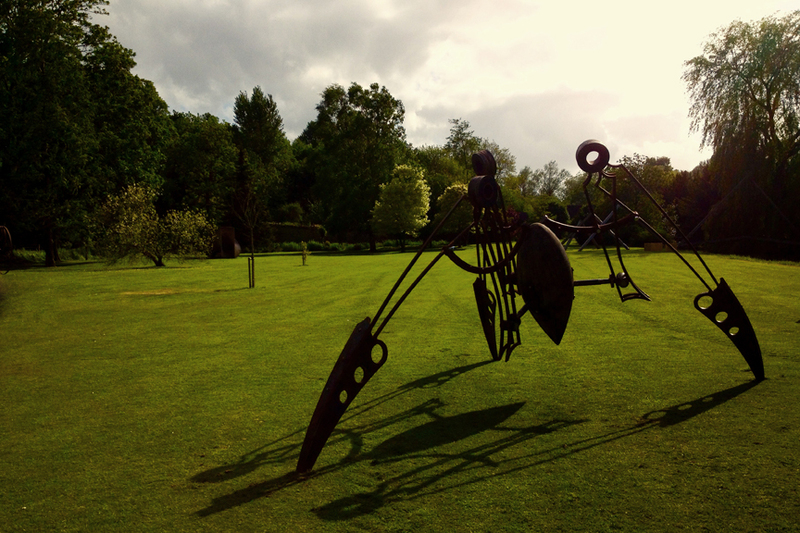 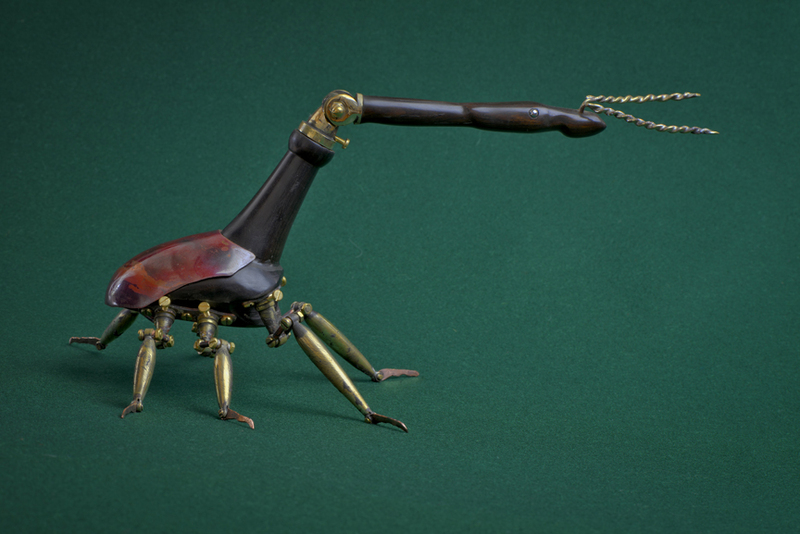 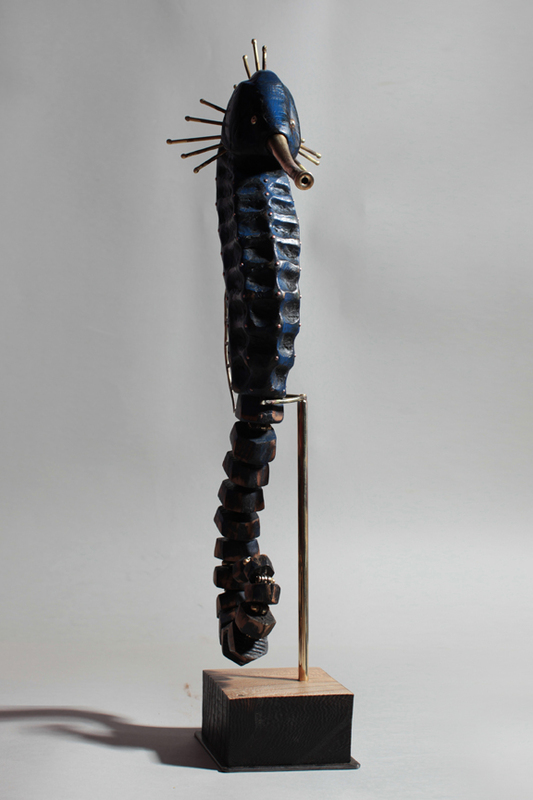 The Giraffe Weevil is a native of Madagascar, this creation was made from African Blackwood, Copper and Brass. 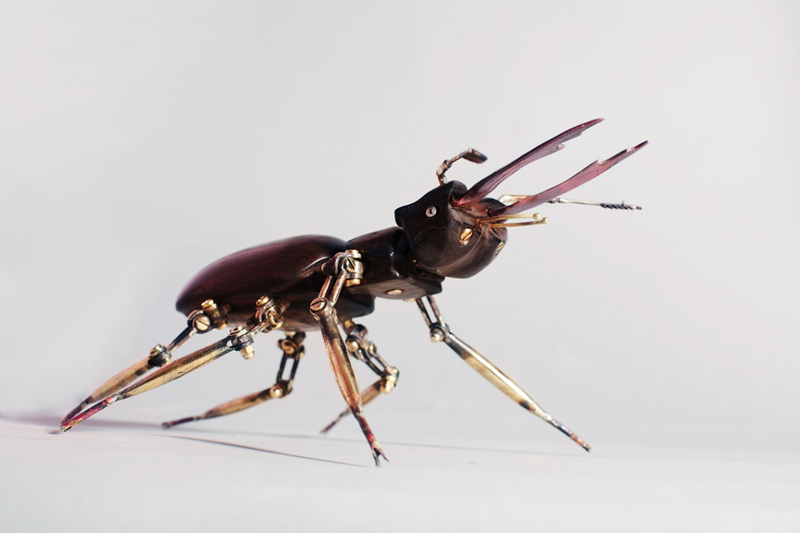 The legs and head are fully posable. 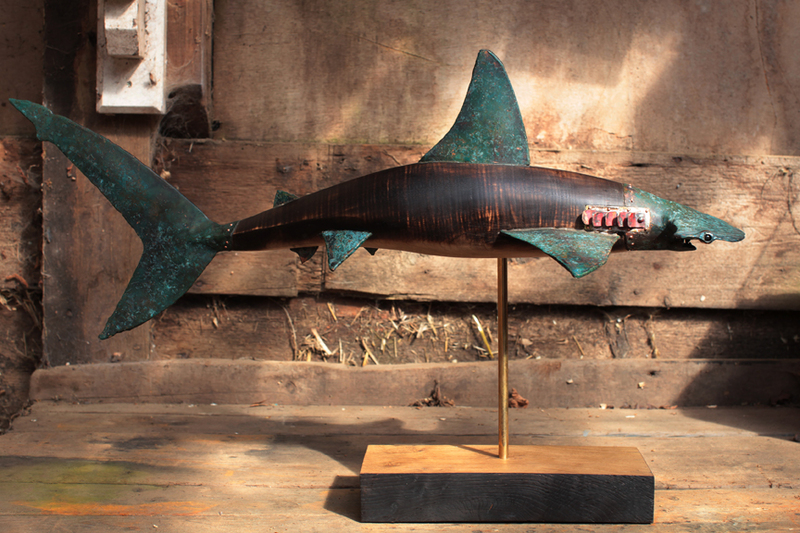 Hammerhead Shark made using scorched Rippled Sycamore as its main body. 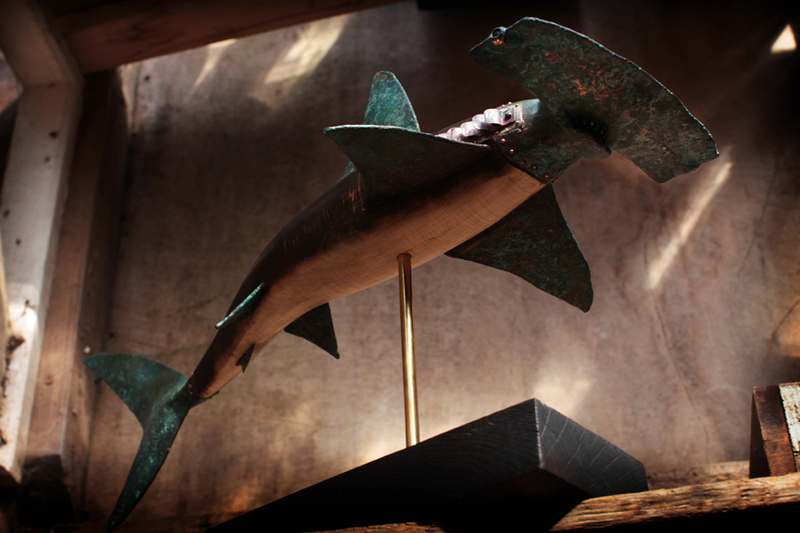 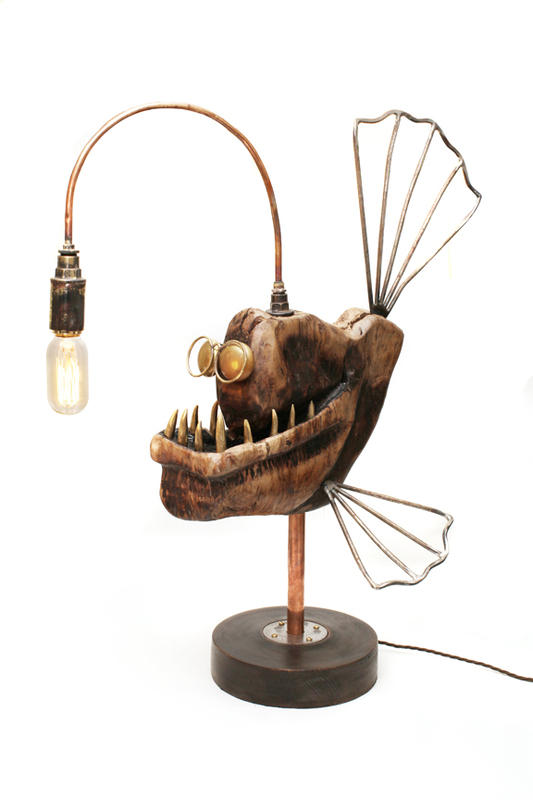 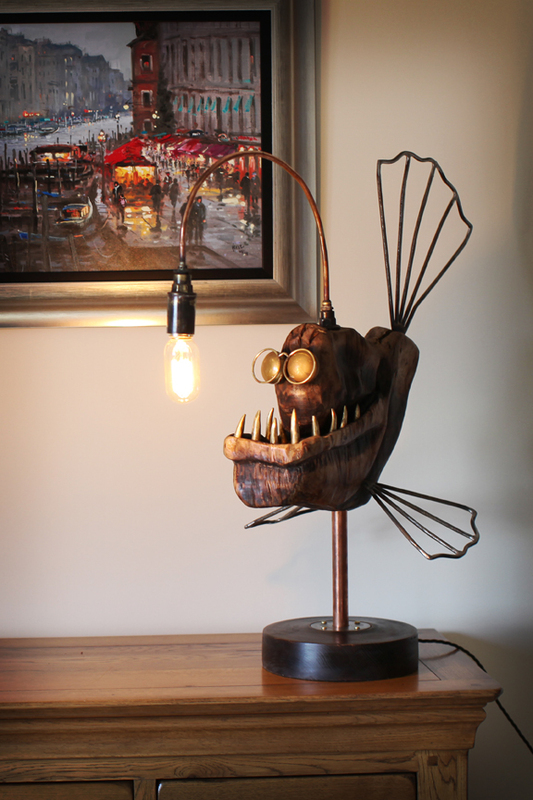 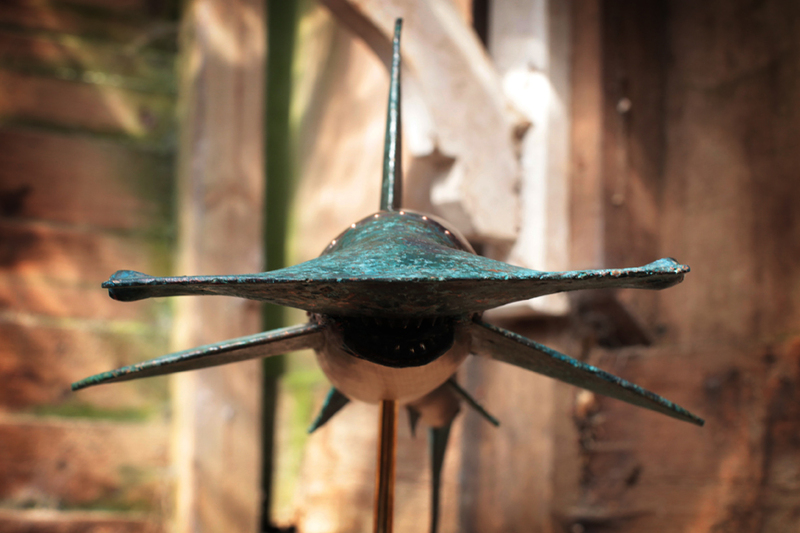 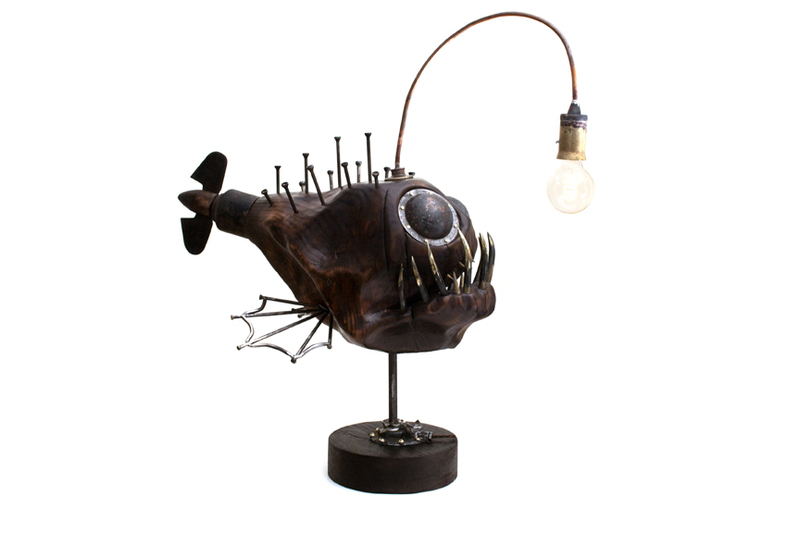 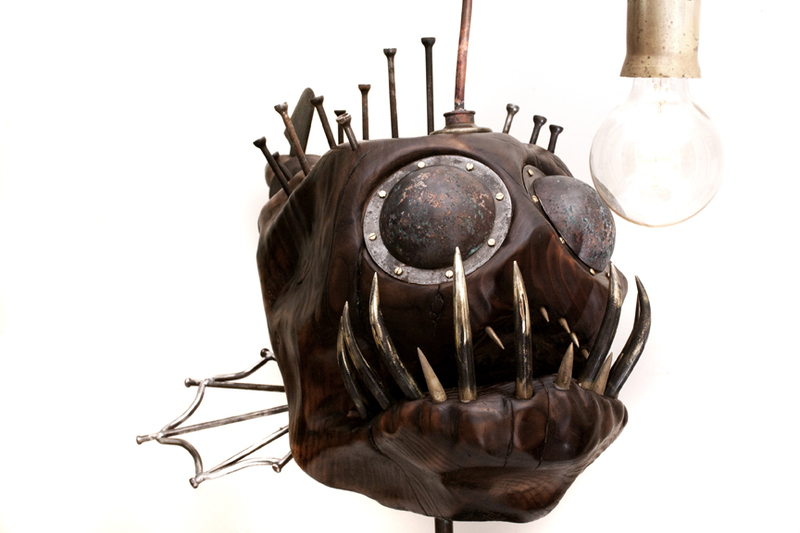 The Copper fins and head have been patinated to create the illusion of ancient metal that has been many years on the sea bed. 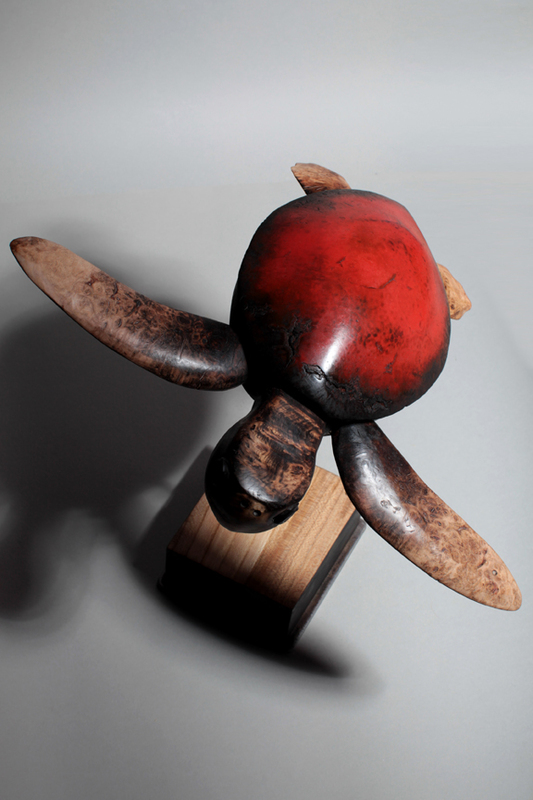 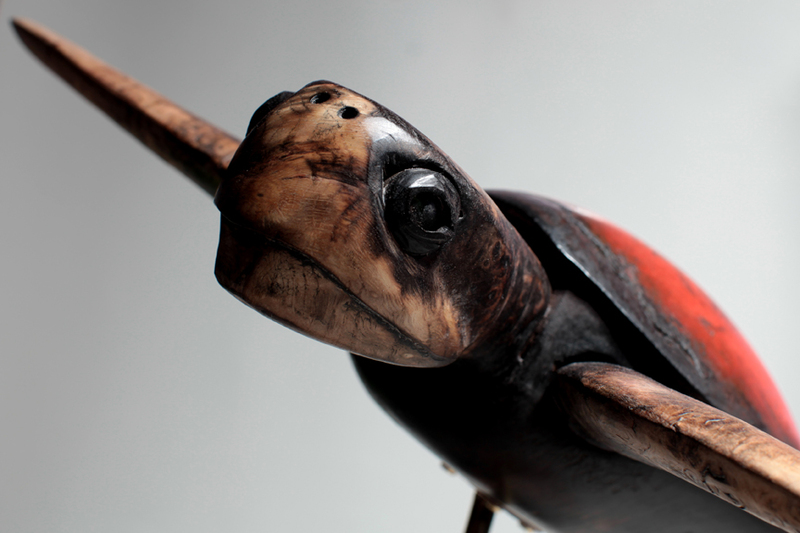 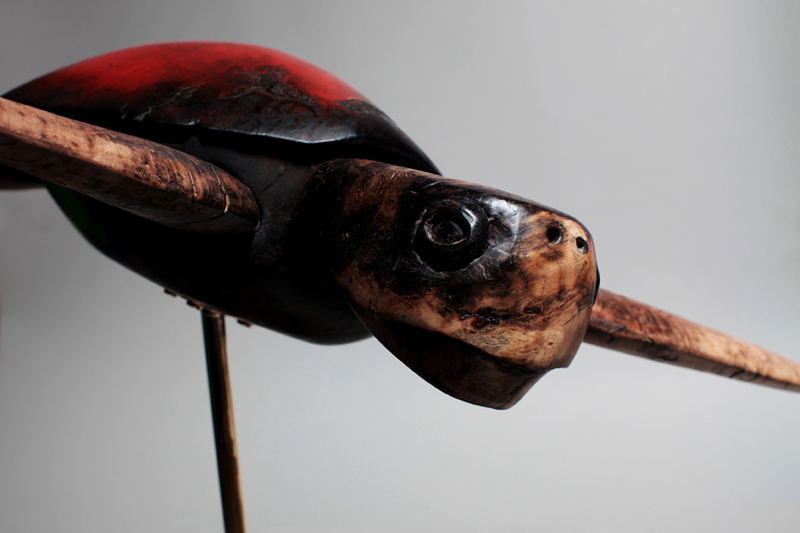 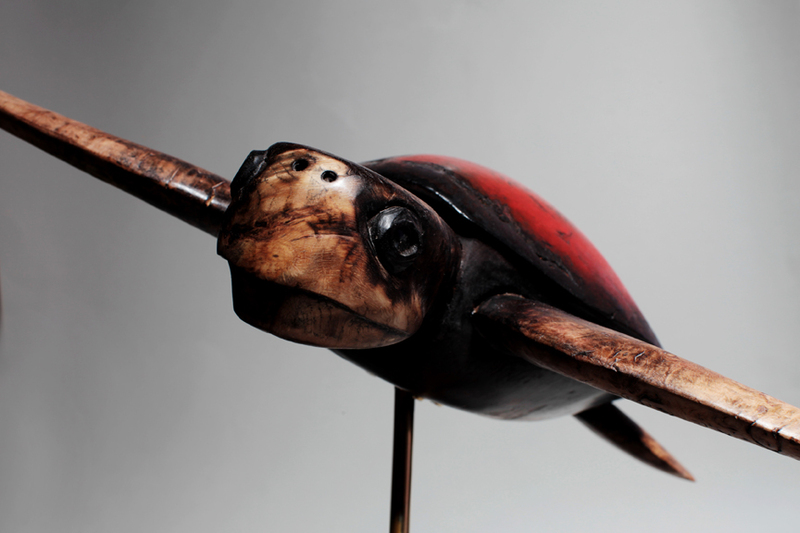 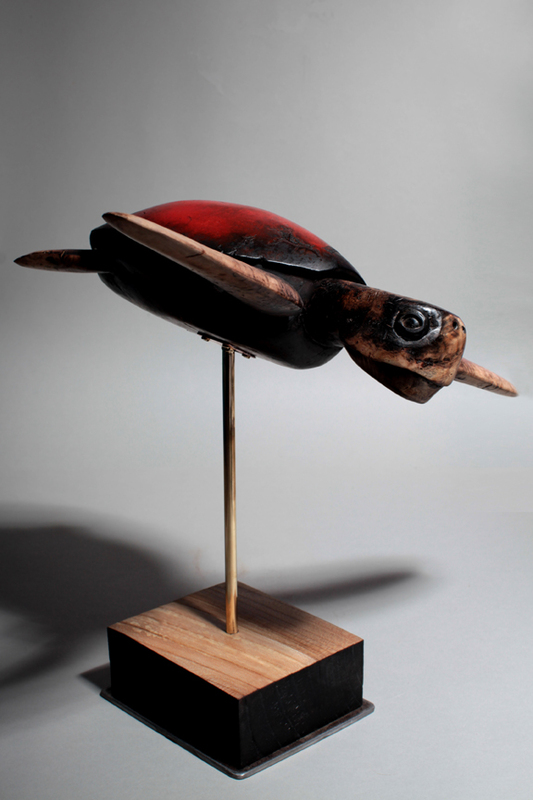 This Turtle sculpture is made from Birds eye Maple, Burr Oak and African Blackwood. 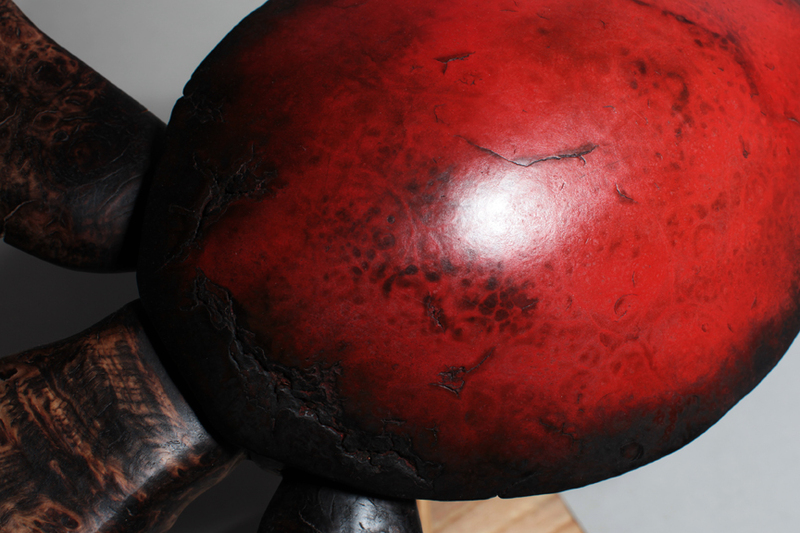 The Maple shell has been lacquered red, the grain of the wood appears through the coloured surface. 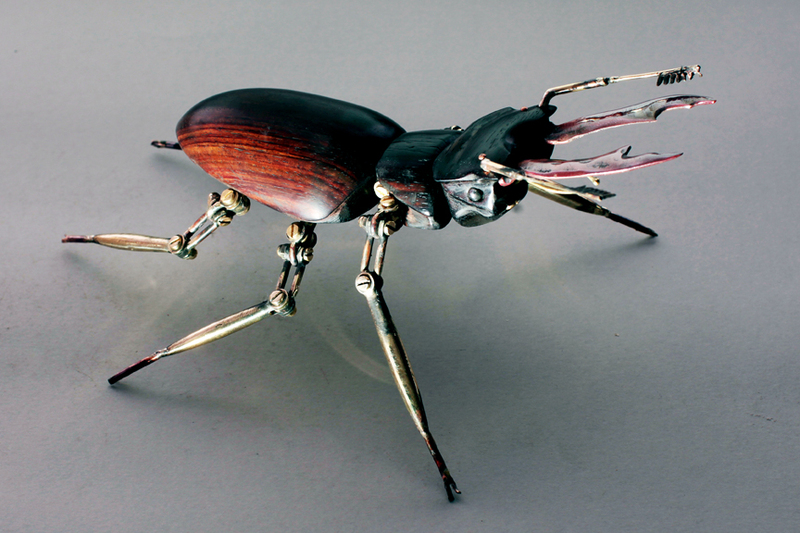 Articulated Stag Beetle created primarily from a piece of salvaged wood. 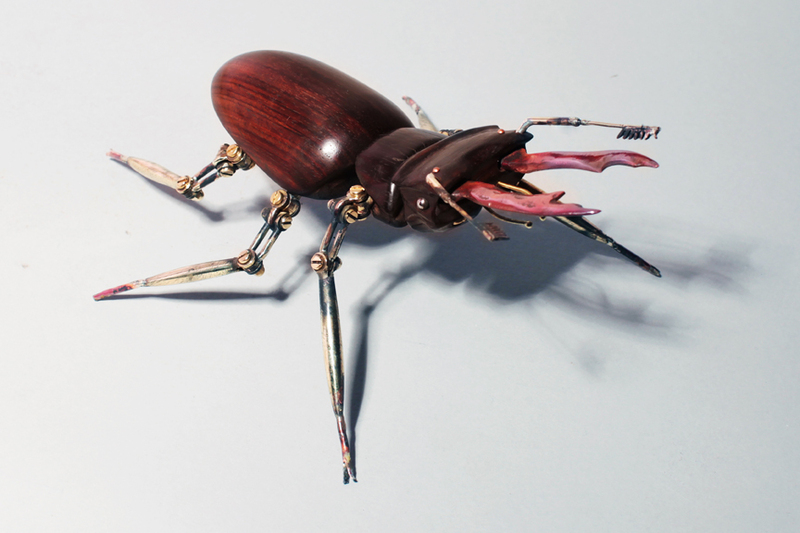 the body section is jointed as are the legs and mandibles. 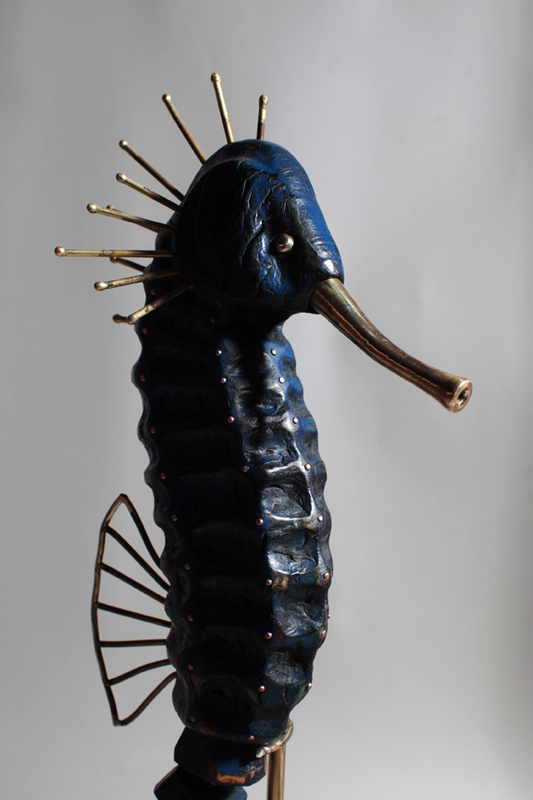 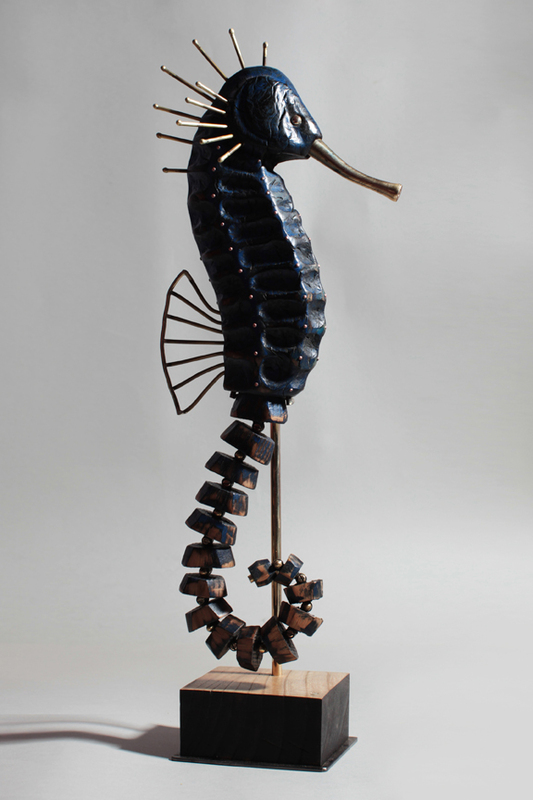 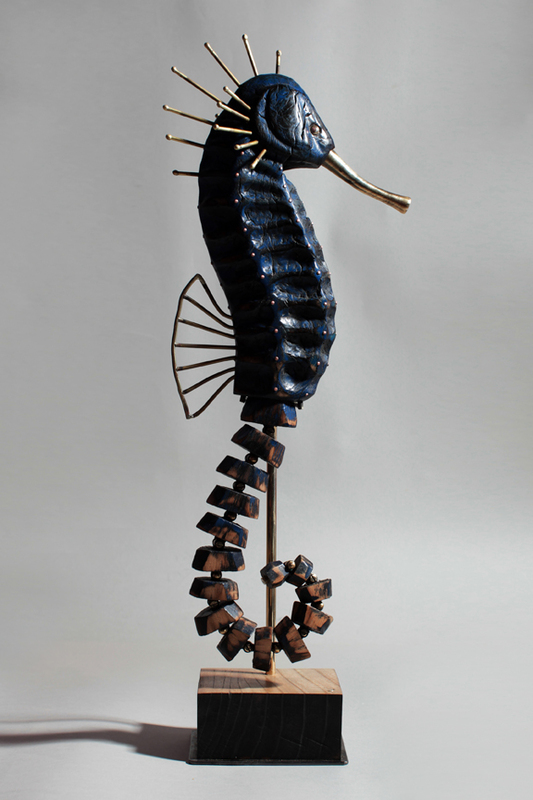 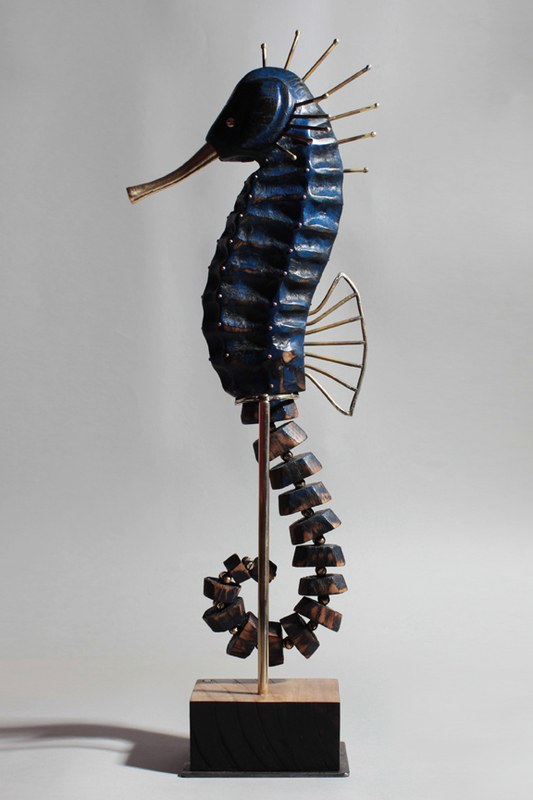 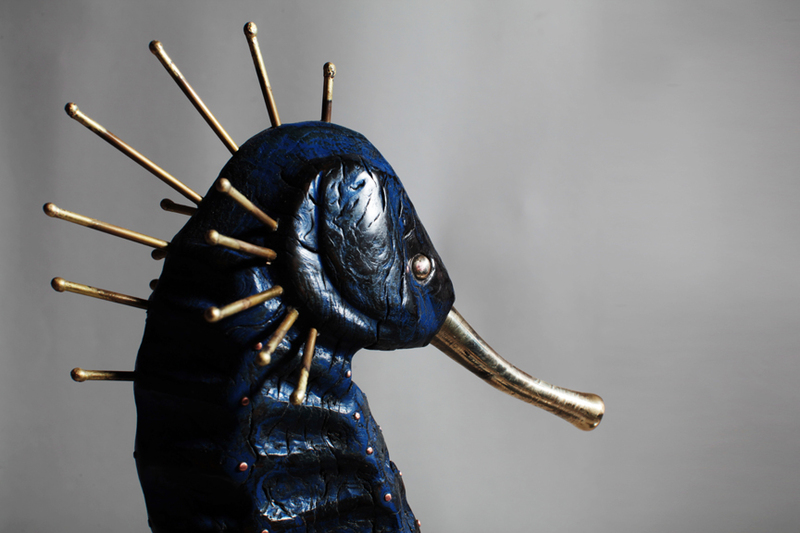 The articulated tail section of the Seahorse has been made using individually linked segments allowing for it to be posed in different positions. 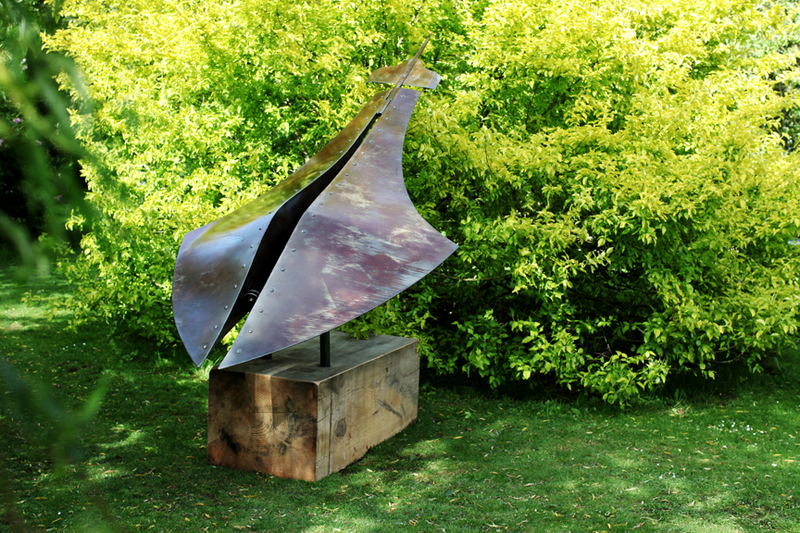 The sculpture can be removed from the stand and reversed so it can be displayed from the other side. 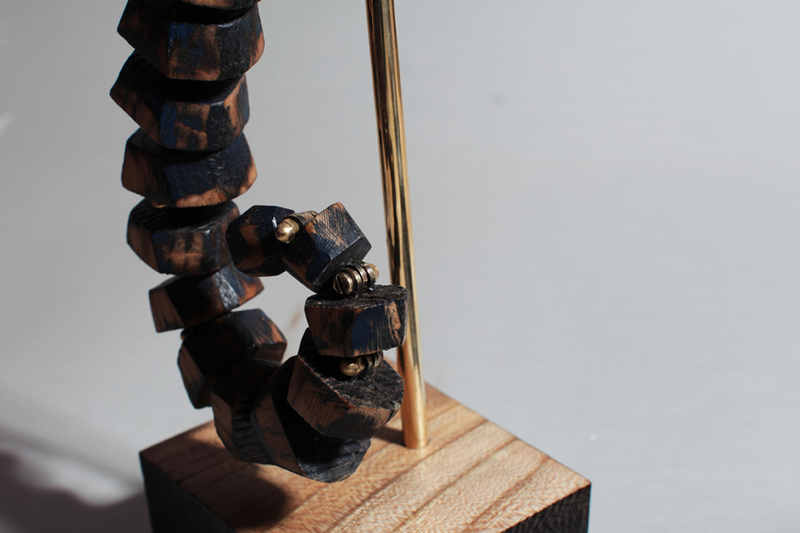 Burr Oak, Copper, Brass and Acrylic Paint. 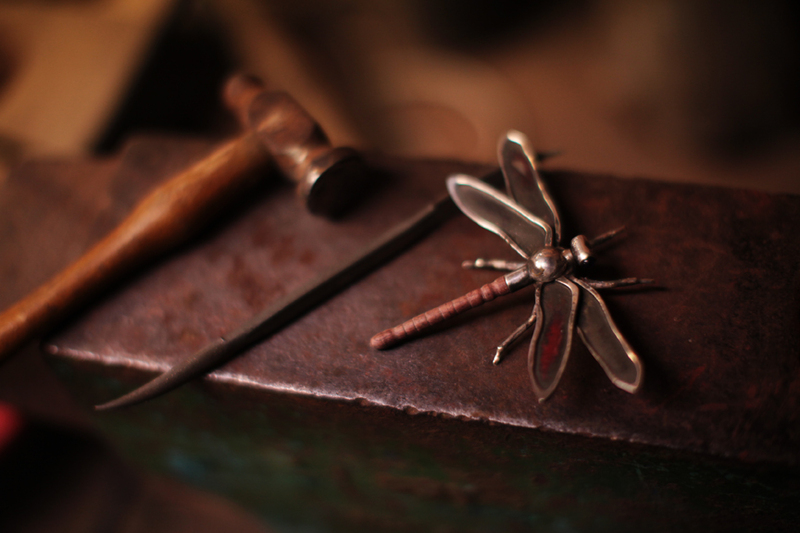 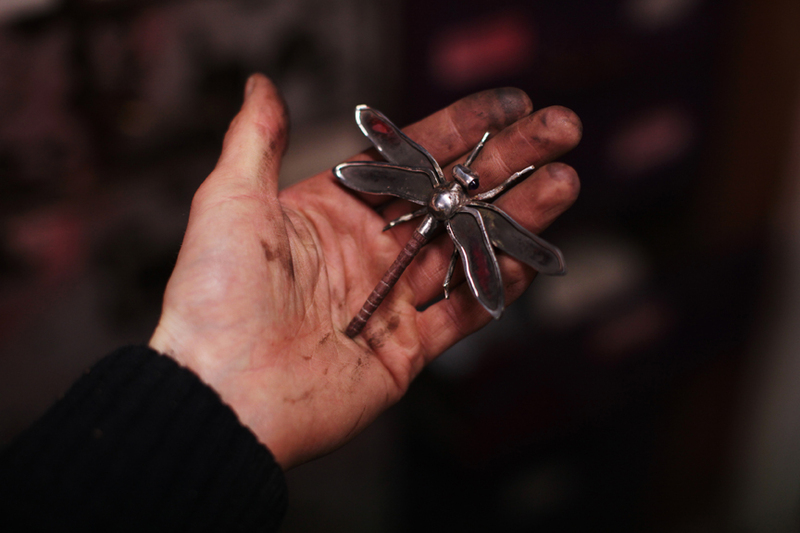 This hairpiece is made predominantly from Silver, the abdomen section is made of Purple Heart. 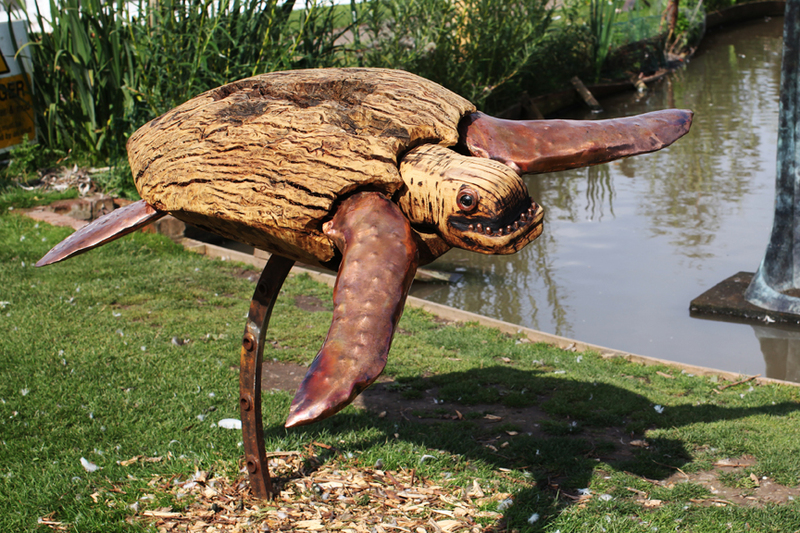 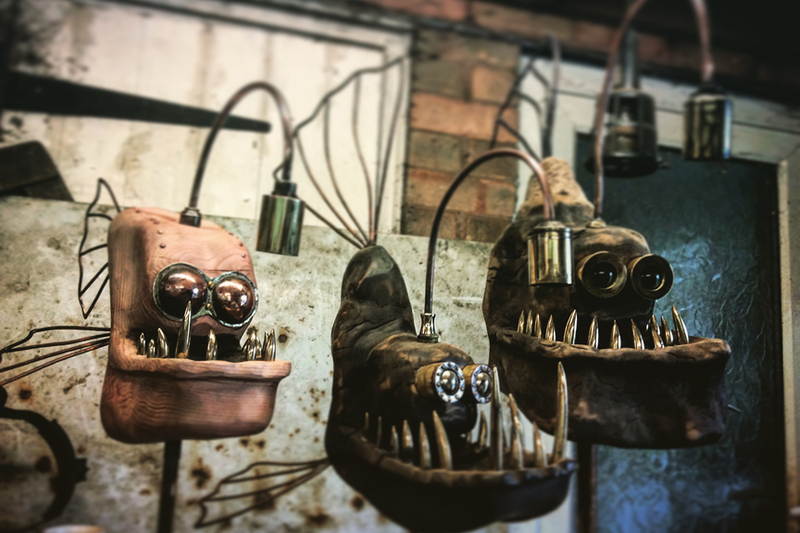 My Giant Turtle, Goliath Tripod and Manta have gone on display at the British Ironworks Centre in Oswestry, I am delighted that they are exhibiting the pieces alongside a large group of my smaller works. 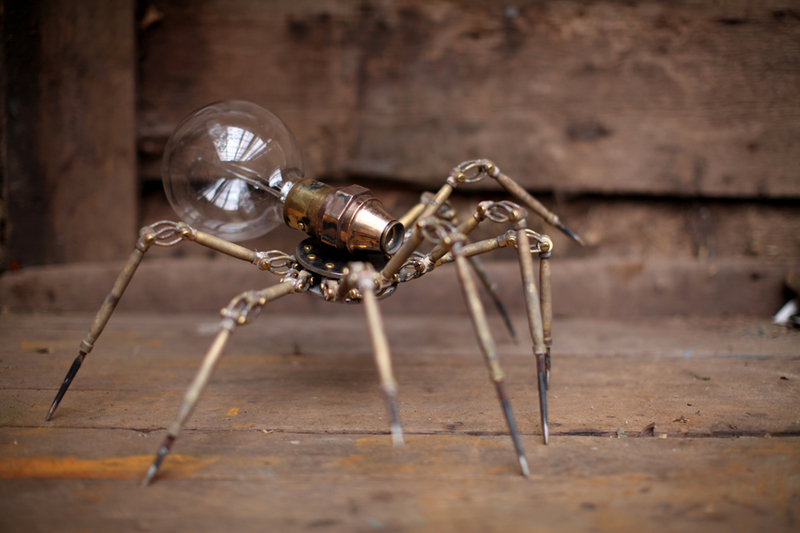 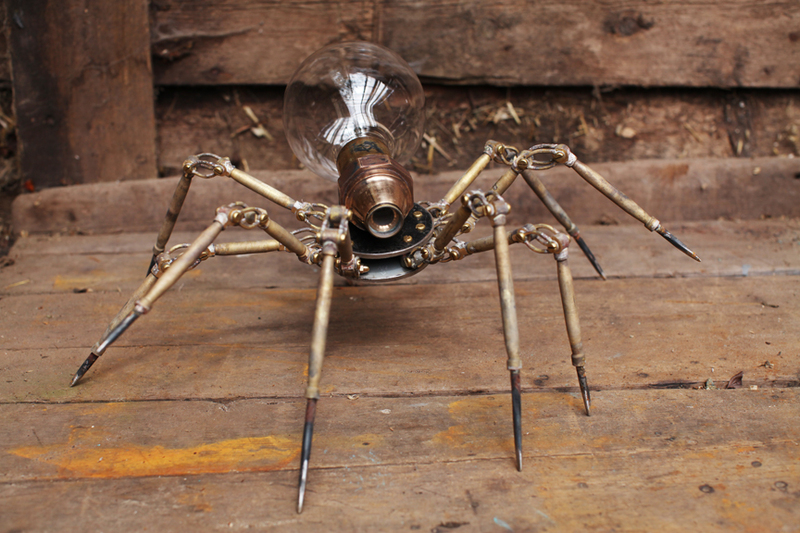 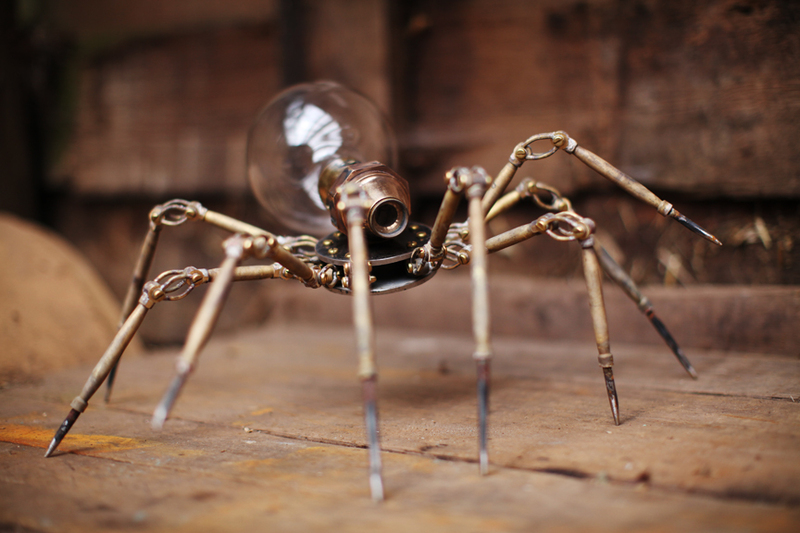 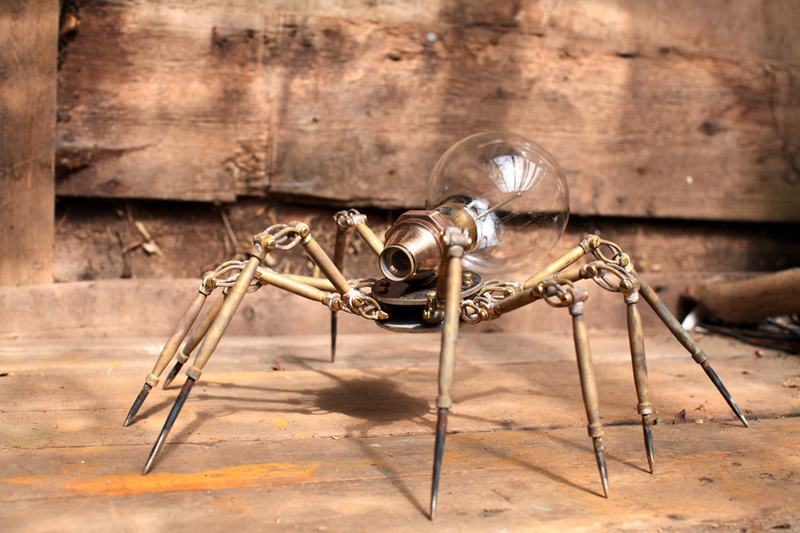 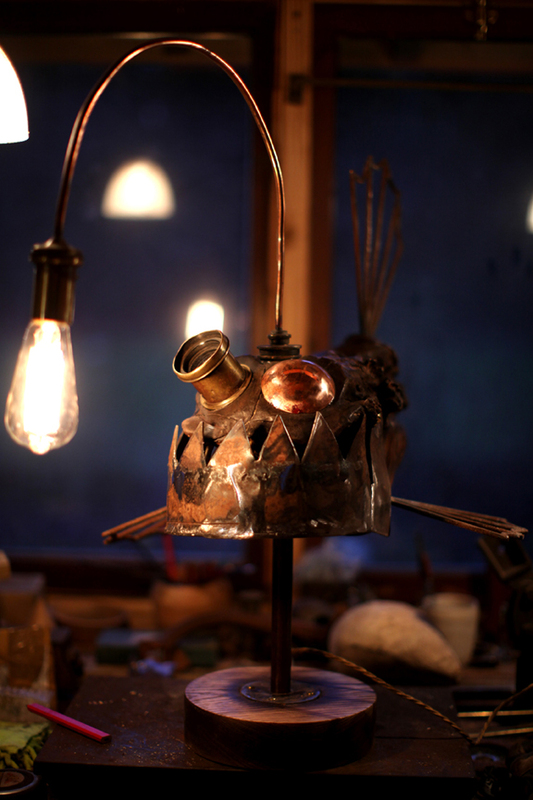 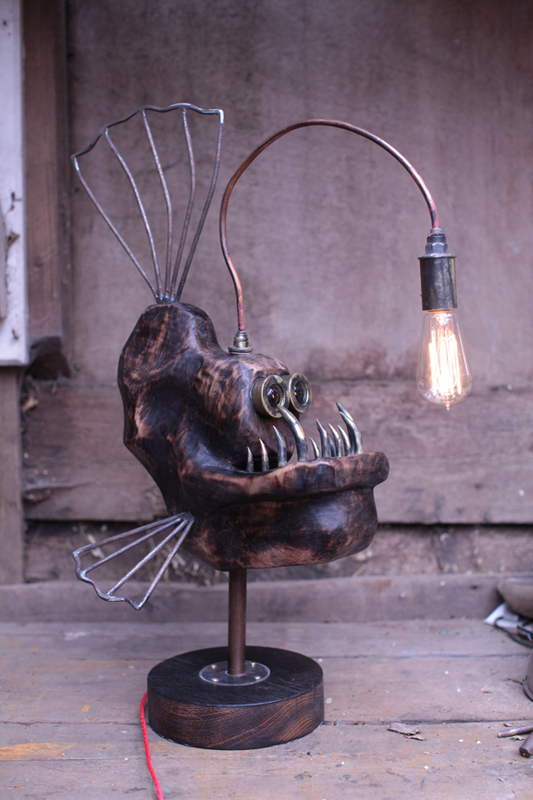 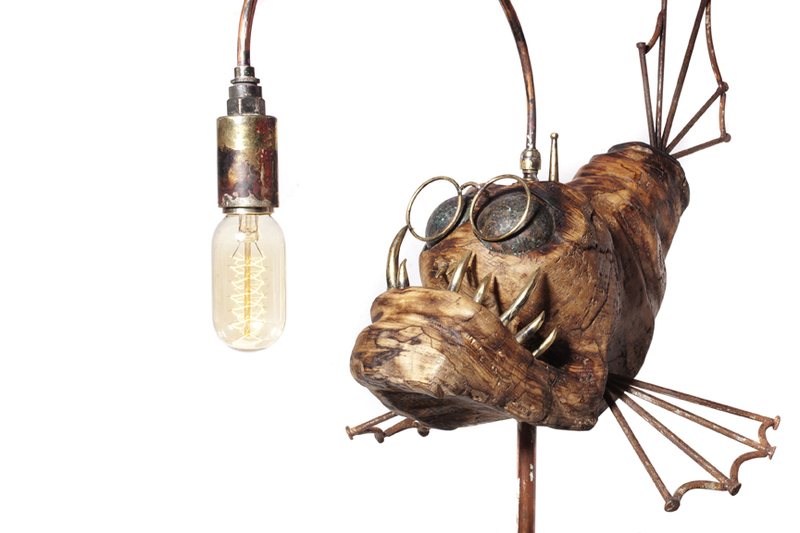 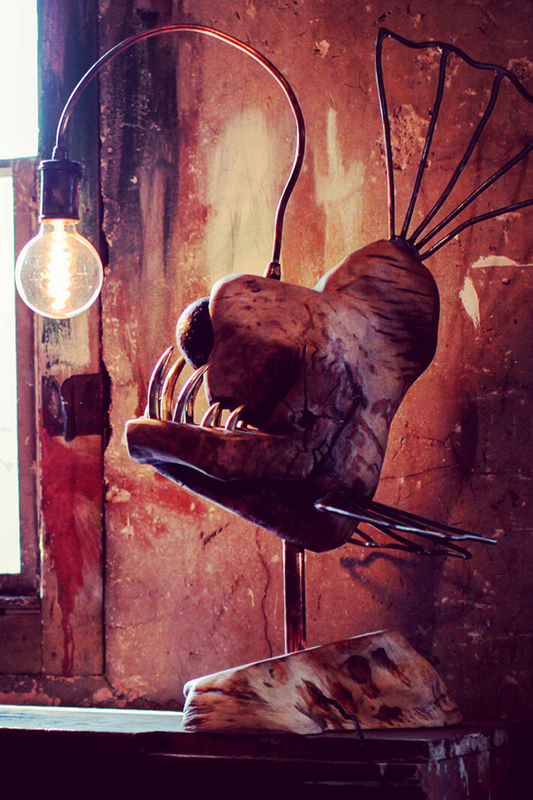 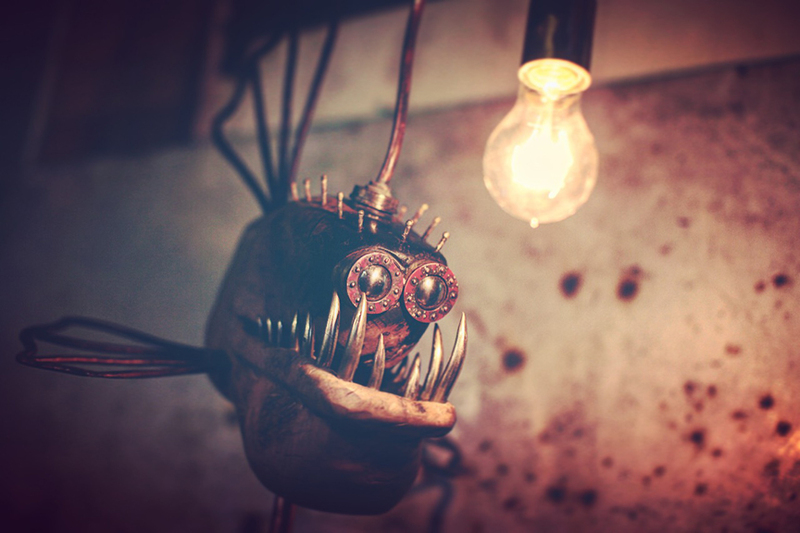 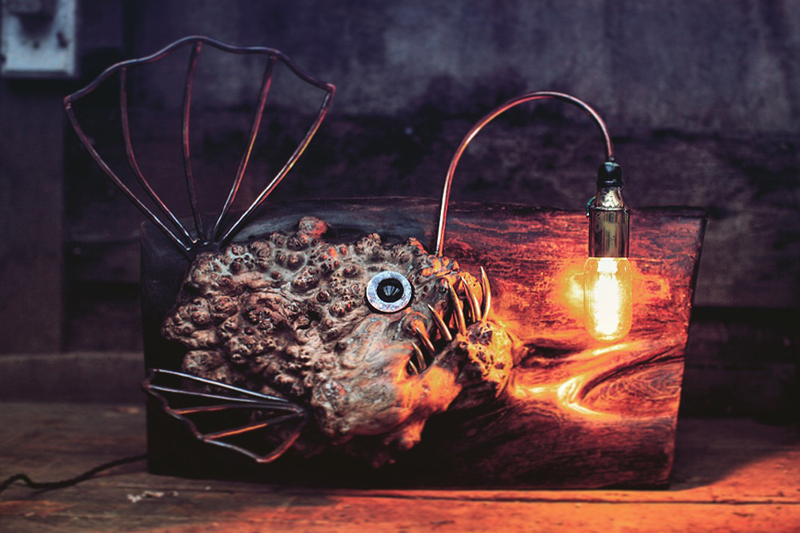 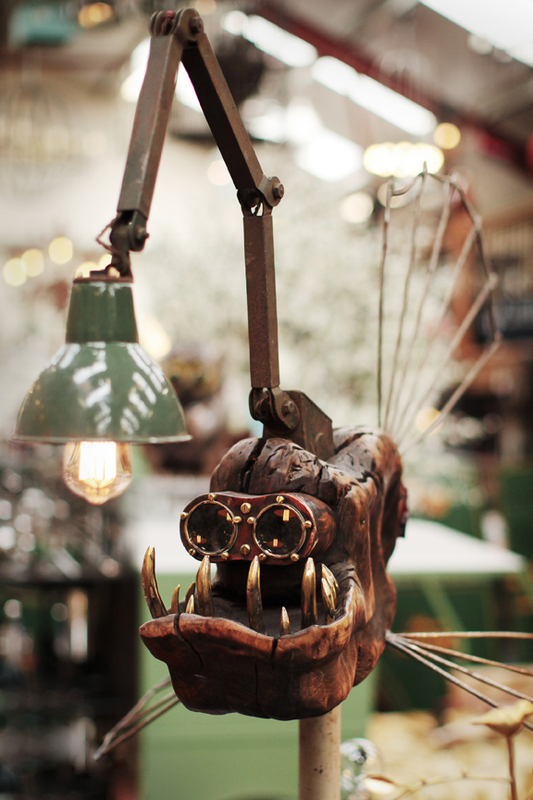 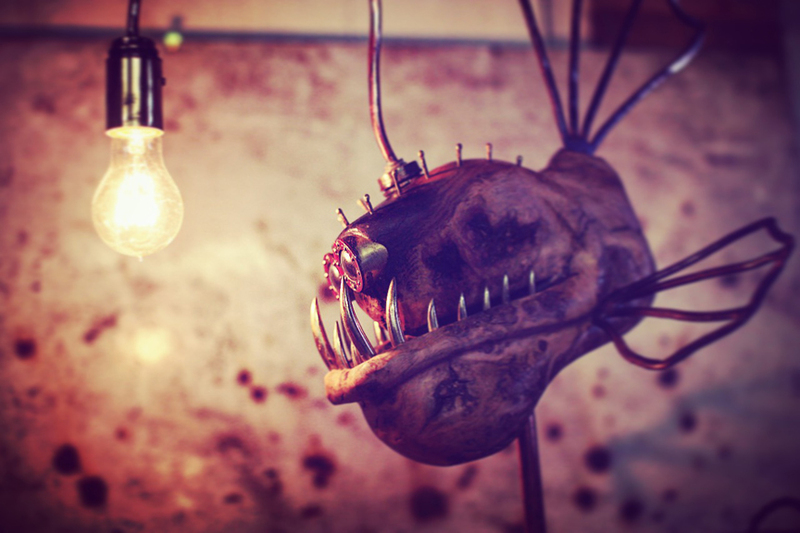 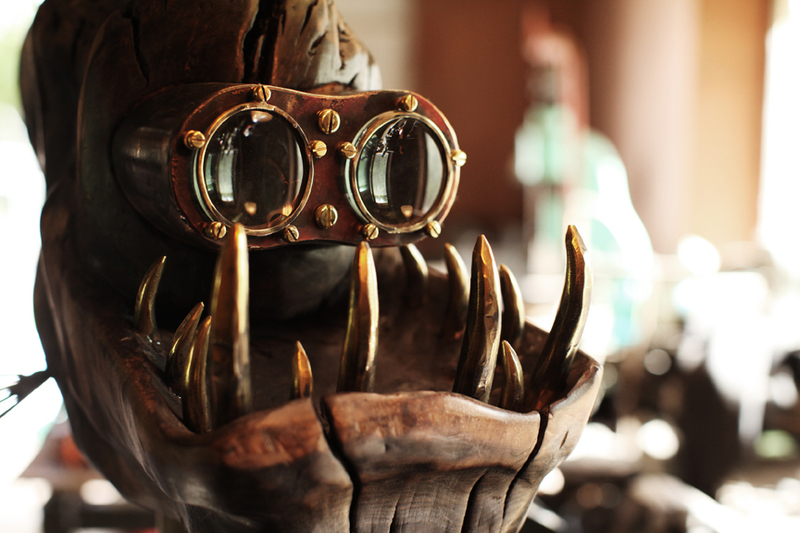 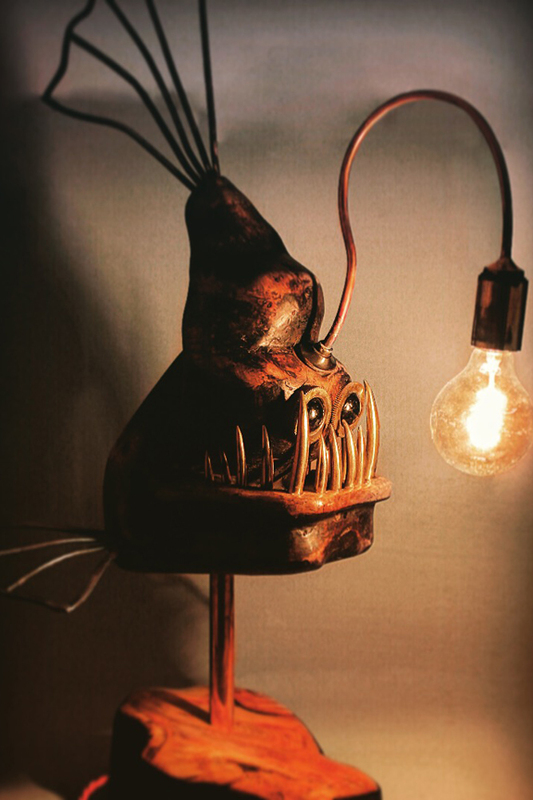 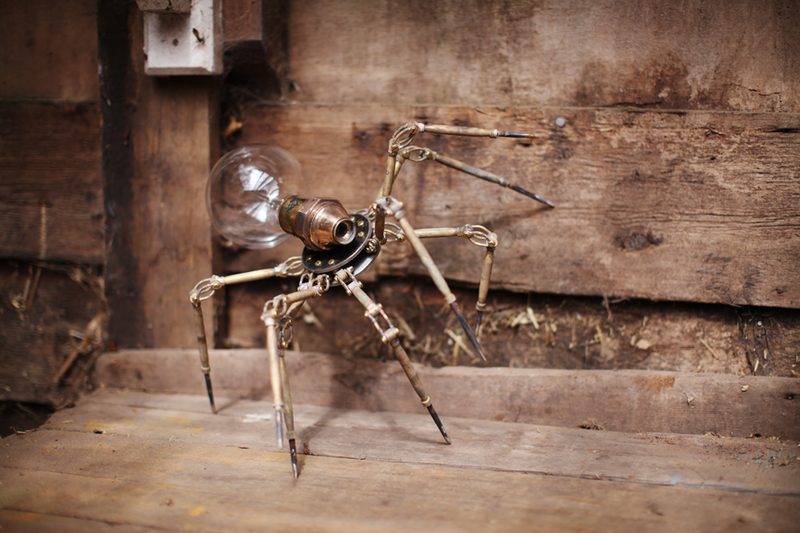 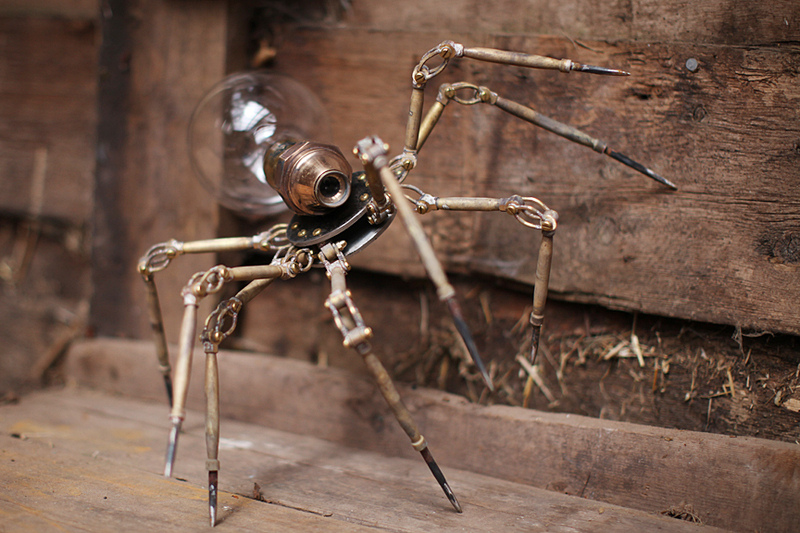 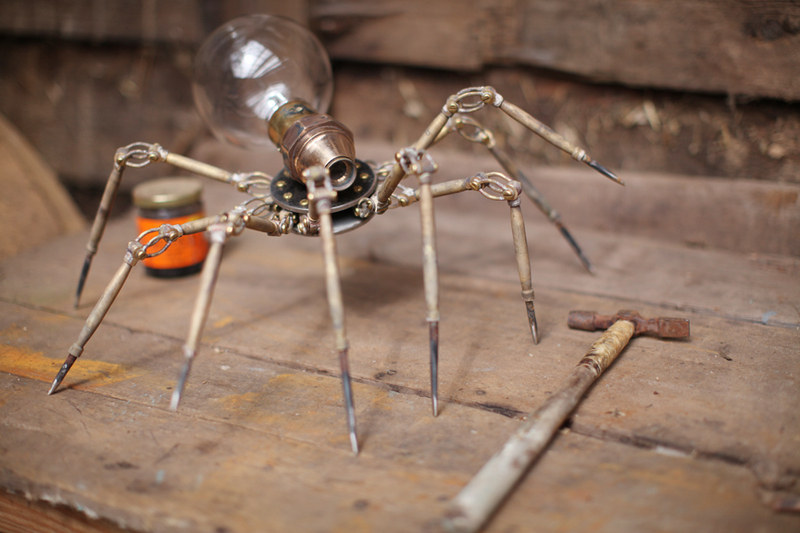 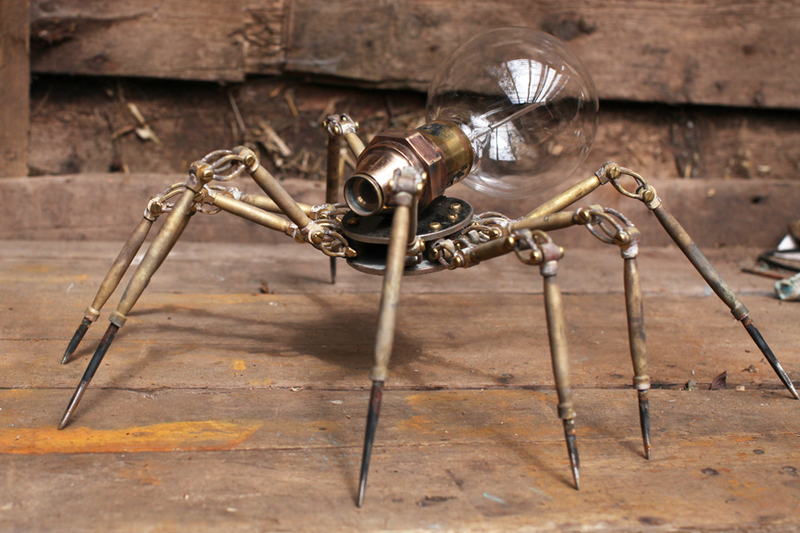 Steampunk Spider Lamp. 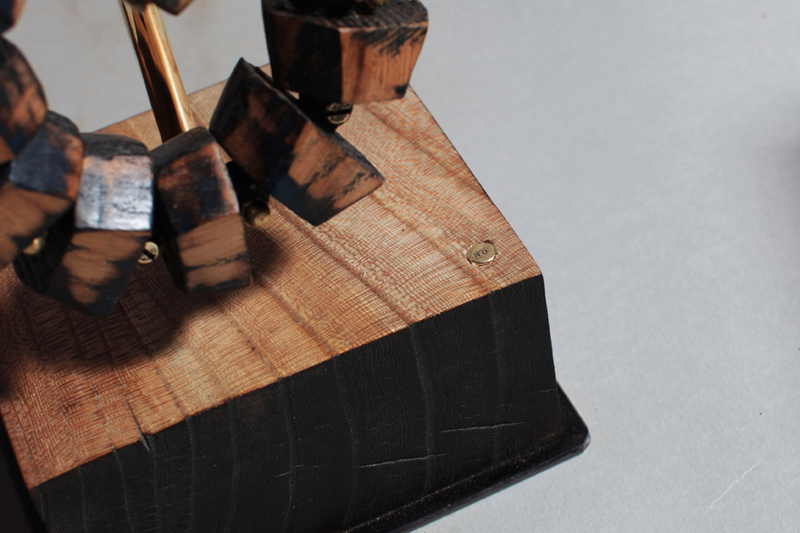 The central brass nut came from a reclaimed vacuum pump. 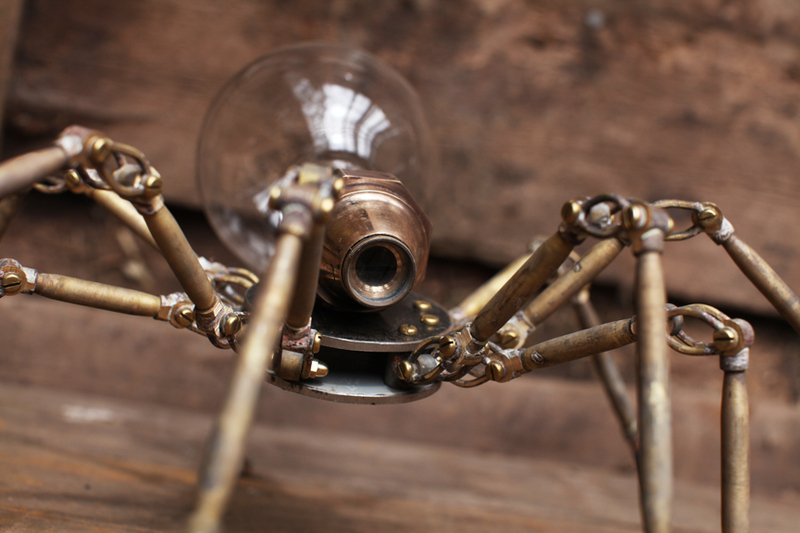 Brass,Steel, Glass bulb and found items.